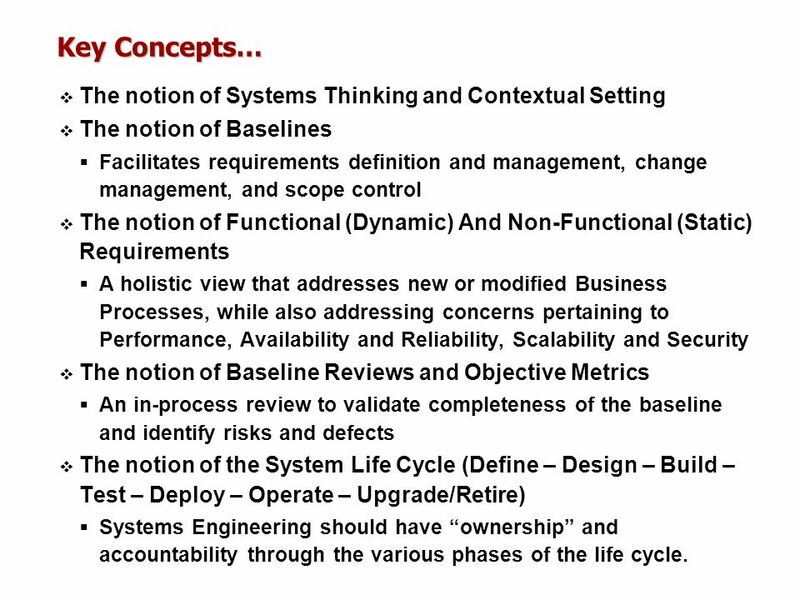 The notion of Baselines Facilitates requirements definition and management, change management, and scope control The notion of Functional (Dynamic) And Non-Functional (Static) Requirements A holistic view that addresses new or modified Business Processes, while also addressing concerns pertaining to Performance, Availability and Reliability, Scalability and Security The notion of Baseline Reviews and Objective Metrics An in-process review to validate completeness of the baseline and identify risks and defects The notion of the System Life Cycle (Define – Design – Build – Test – Deploy – Operate – Upgrade/Retire) Systems Engineering should have “ownership” and accountability through the various phases of the life cycle. 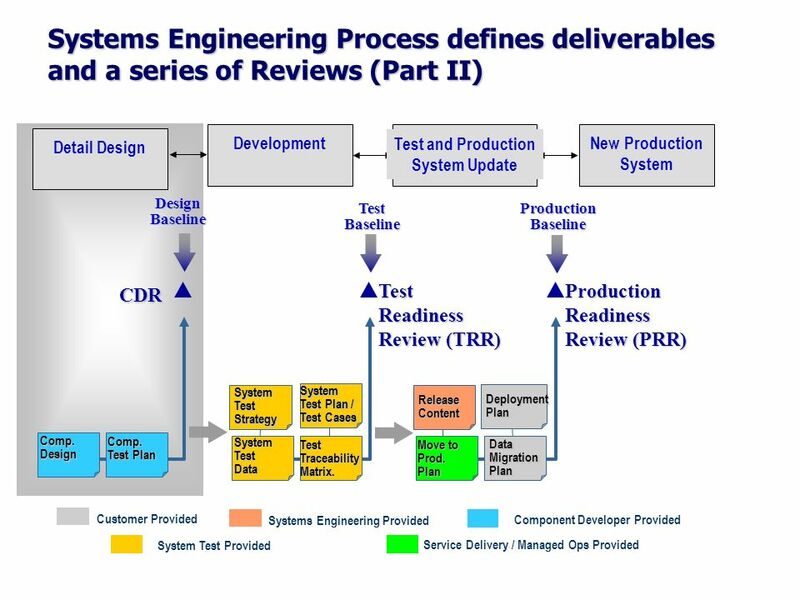 The charts here are based on data collected from a recent study analyzing project defects by type and phase. 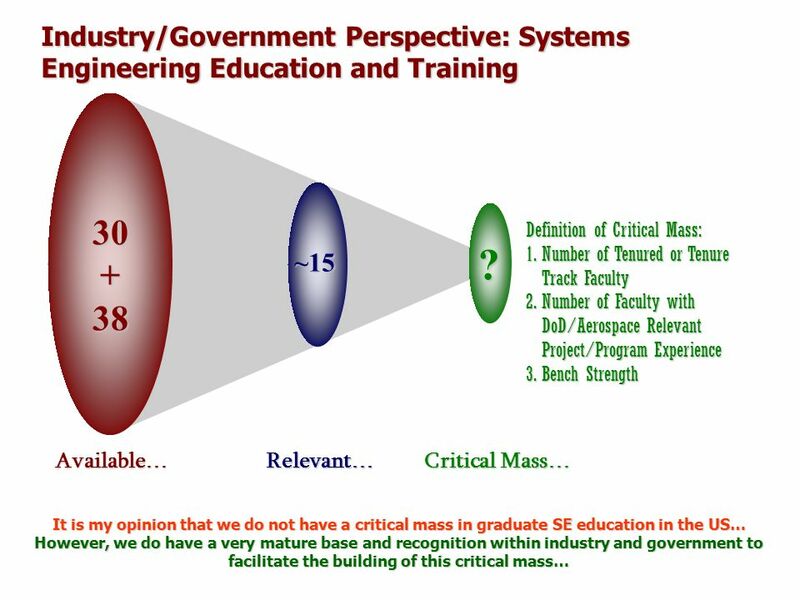 Here ISM defects by phase is compared to 46 similarly sized projects not utilizing SE. 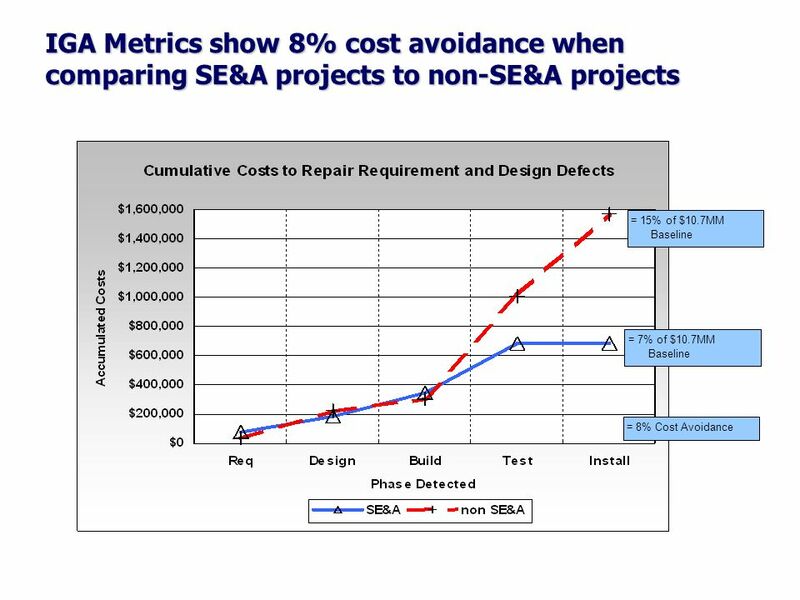 Total defect counts for non-SE projects exhibited 53.4% of total project defects during the Test Phase of the project. 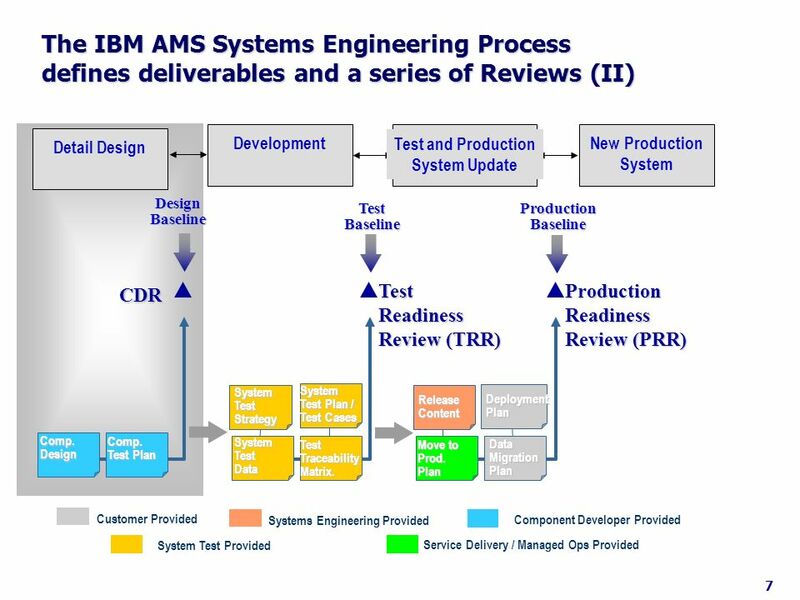 On ISM defects were detected earlier in the project life-cycle. 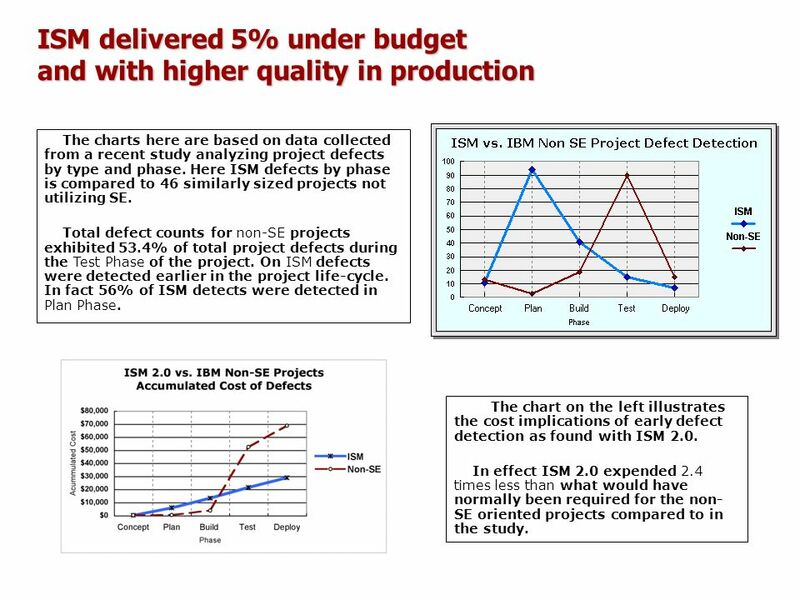 In fact 56% of ISM detects were detected in Plan Phase. 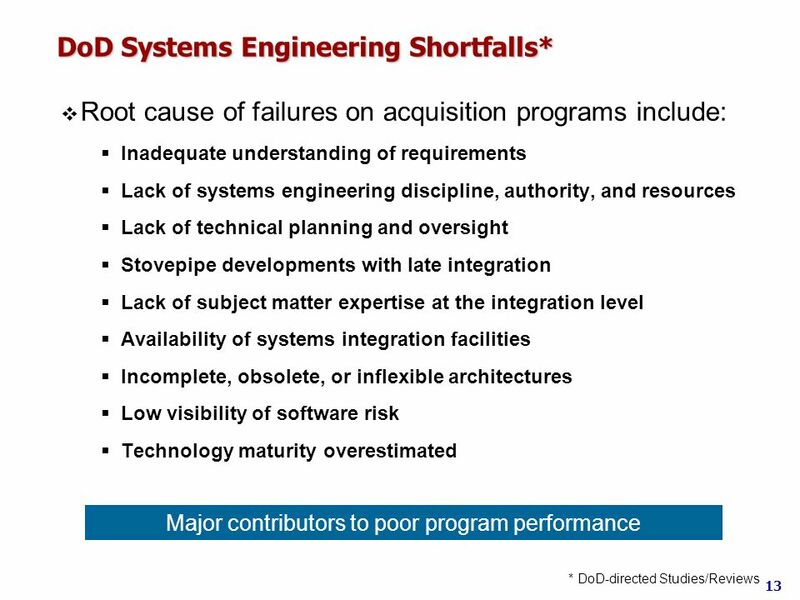 The chart on the left illustrates the cost implications of early defect detection as found with ISM 2.0. 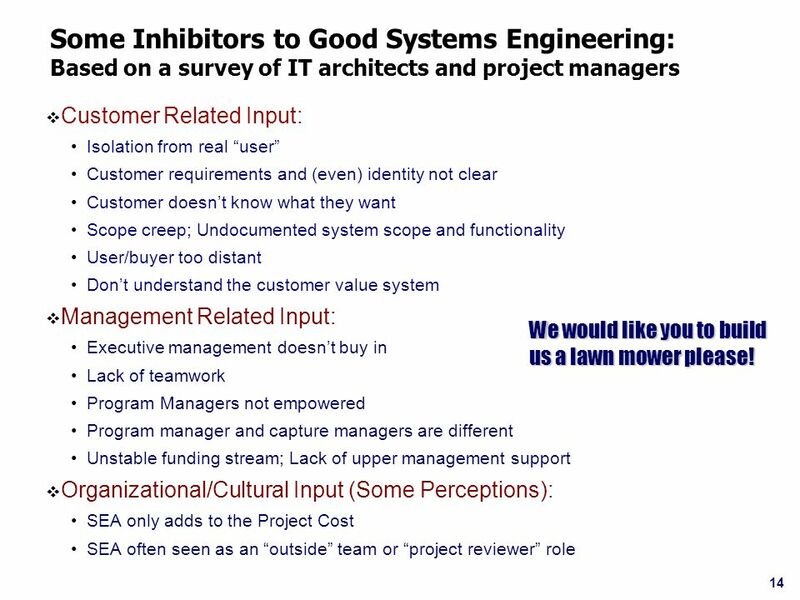 In effect ISM 2.0 expended 2.4 times less than what would have normally been required for the non-SE oriented projects compared to in the study. 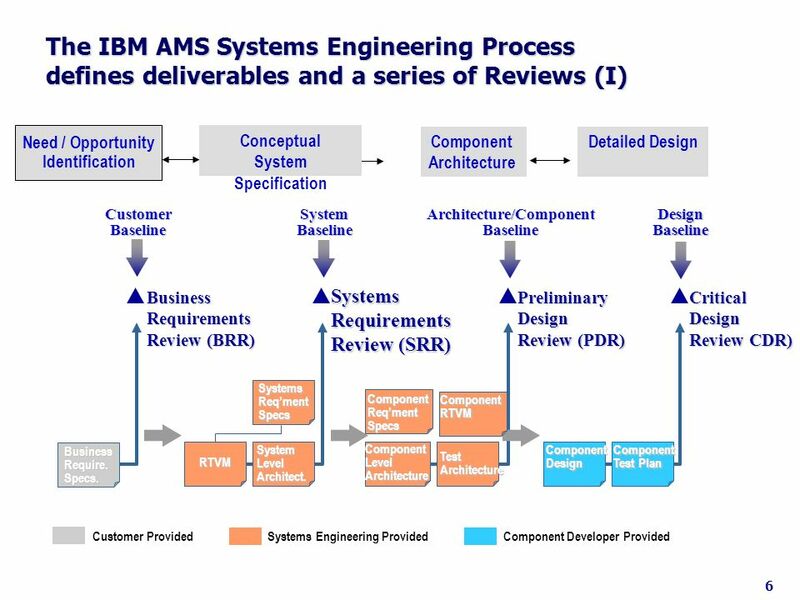 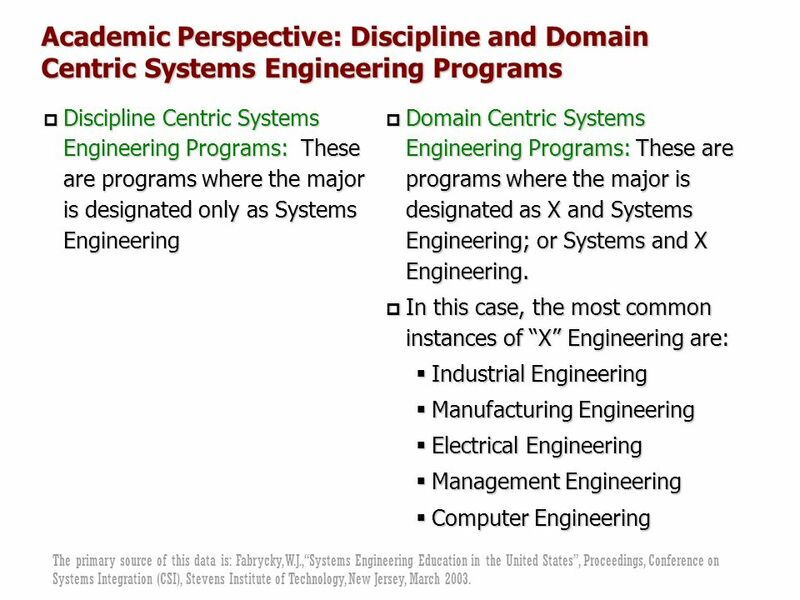 Discipline Centric Systems Engineering Programs: These are programs where the major is designated only as Systems Engineering Domain Centric Systems Engineering Programs: These are programs where the major is designated as X and Systems Engineering; or Systems and X Engineering. 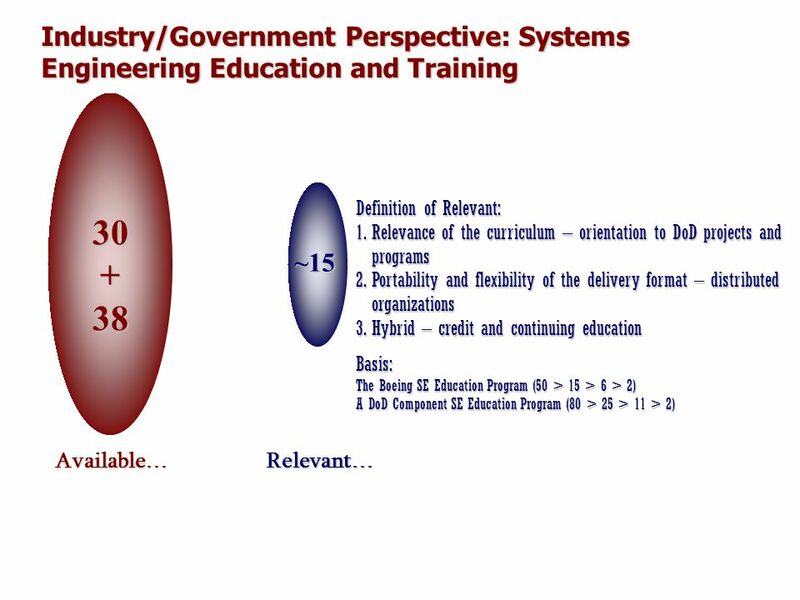 In this case, the most common instances of “X” Engineering are: Industrial Engineering Manufacturing Engineering Electrical Engineering Management Engineering Computer Engineering The primary source of this data is: Fabrycky, W.J., “Systems Engineering Education in the United States”, Proceedings, Conference on Systems Integration (CSI), Stevens Institute of Technology, New Jersey, March 2003. 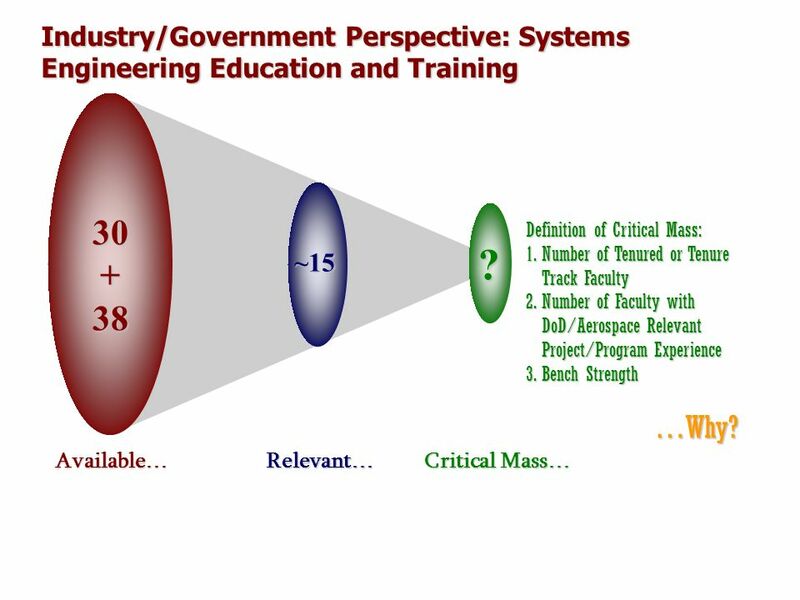 Air Force Institute of Technology California State University Colorado School of Mines Cornell University George Mason University George Washington University Iowa State University Johns Hopkins University National Technological University	Naval Postgraduate School Oakland University Polytechnic University - Farmingdale Portland State University Purdue University Rochester Institute of Technology Southern Methodist University	Stevens Institute of Technology	University of Alabama - Huntsville	University of Arizona University of Idaho	University of Illinois at Urbana-Champaign University of Maryland University of Massachusetts University of Minnesota University of Missouri - Rolla University of Pennsylvania University of Rhode Island University of Southern California	University of Virginia VPI and State University The list in the primary reference contains 35 records. 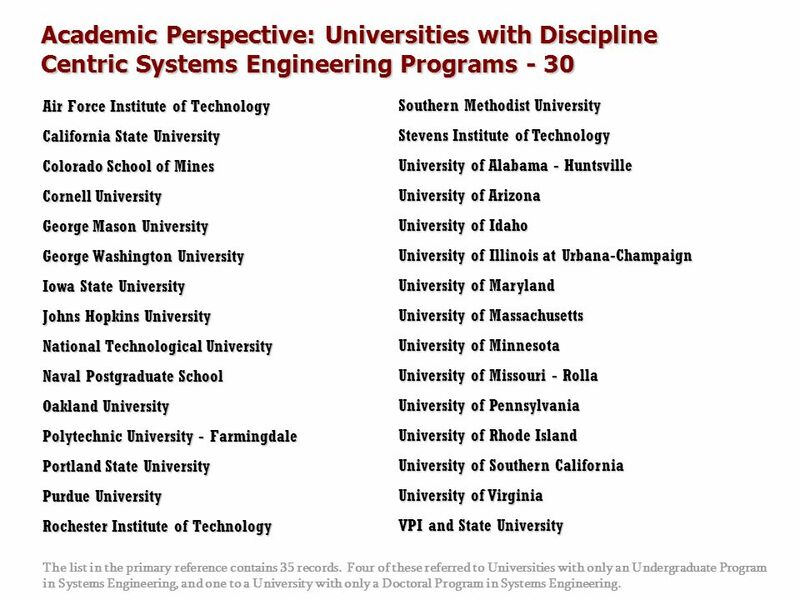 Four of these referred to Universities with only an Undergraduate Program in Systems Engineering, and one to a University with only a Doctoral Program in Systems Engineering. 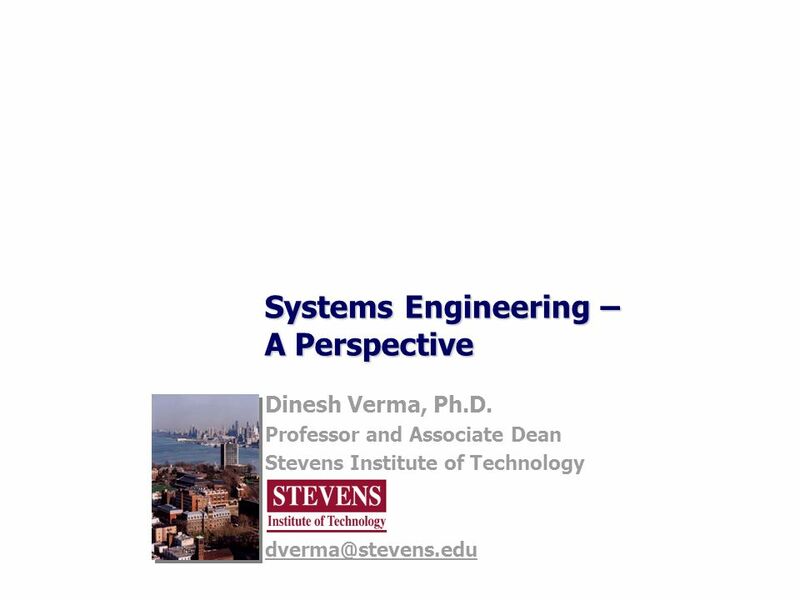 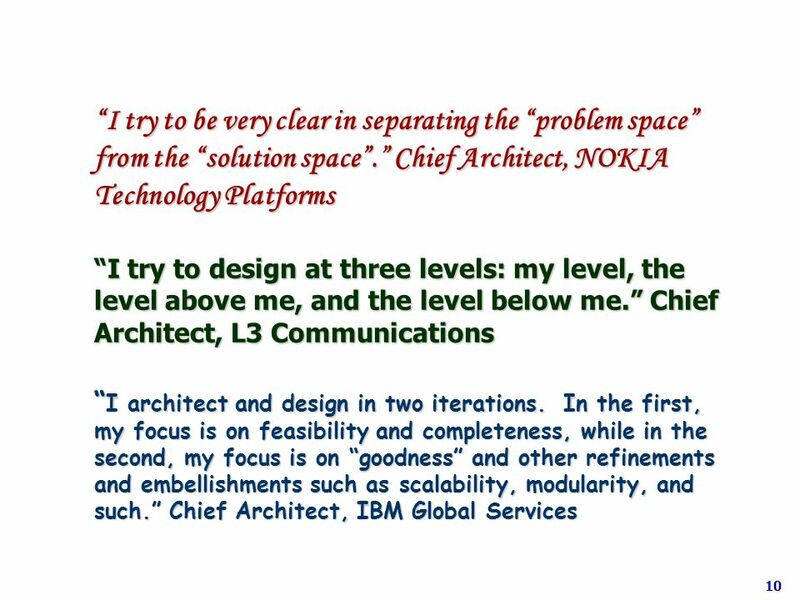 Download ppt "Systems Engineering – A Perspective"
Systems Engineering Program College of Continuing Education Welcome! 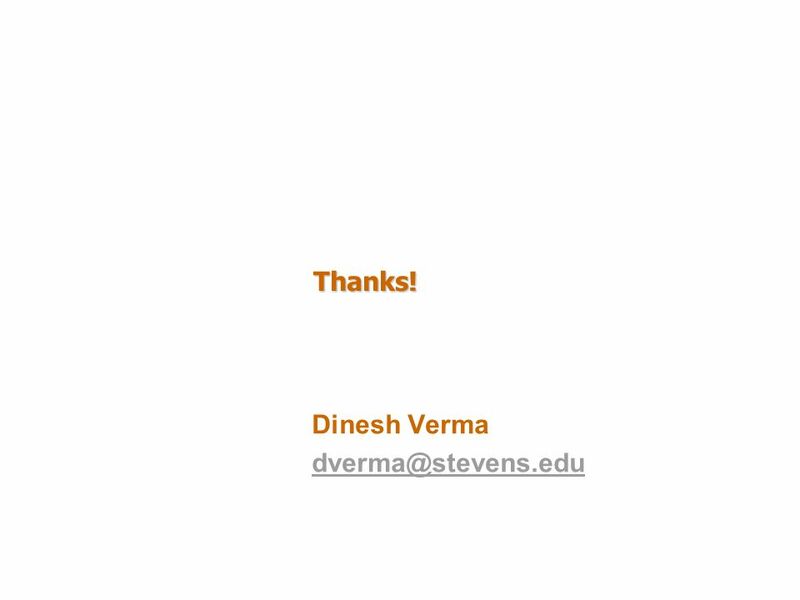 February 20th, 2003. 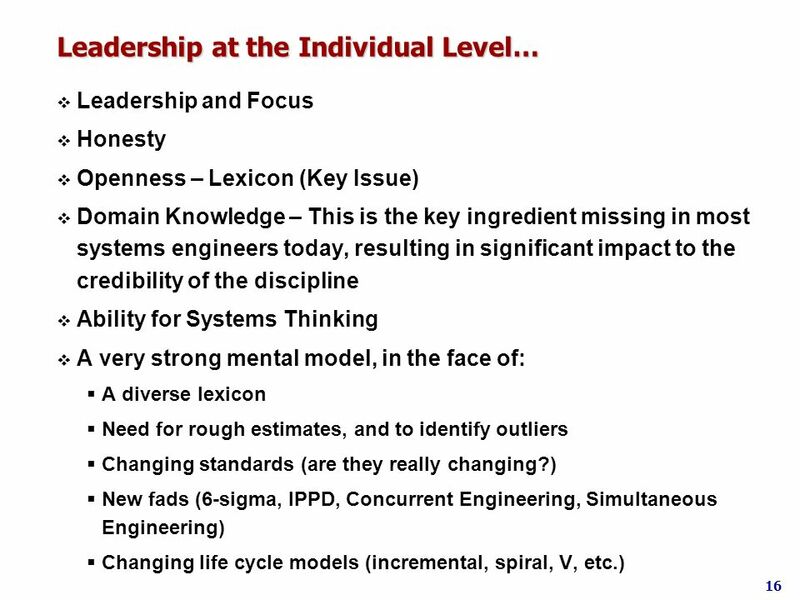 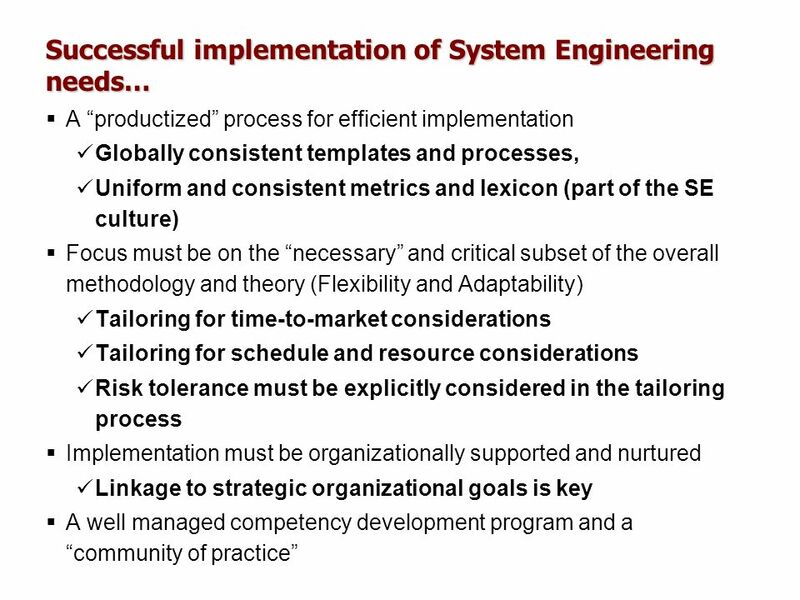 Systems Engineering From a Life Cycle Perspective John Groenenboom Director Engineering – Mesa Boeing Rotorcraft Dec 12, 2007. 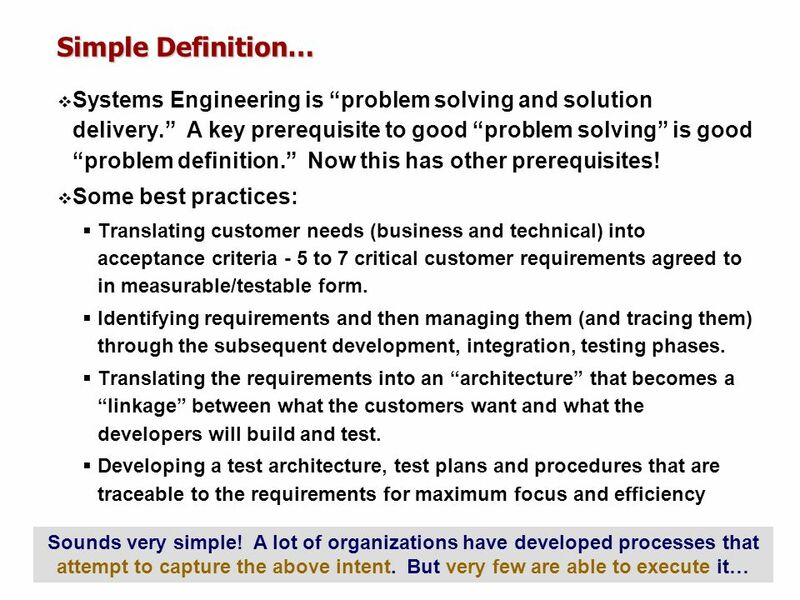 27-Feb-01 1 Implementing Effective Requirements Practices Presented by Dr. Ralph R. Young Director, Software Engineering Systems and Process Engineering. 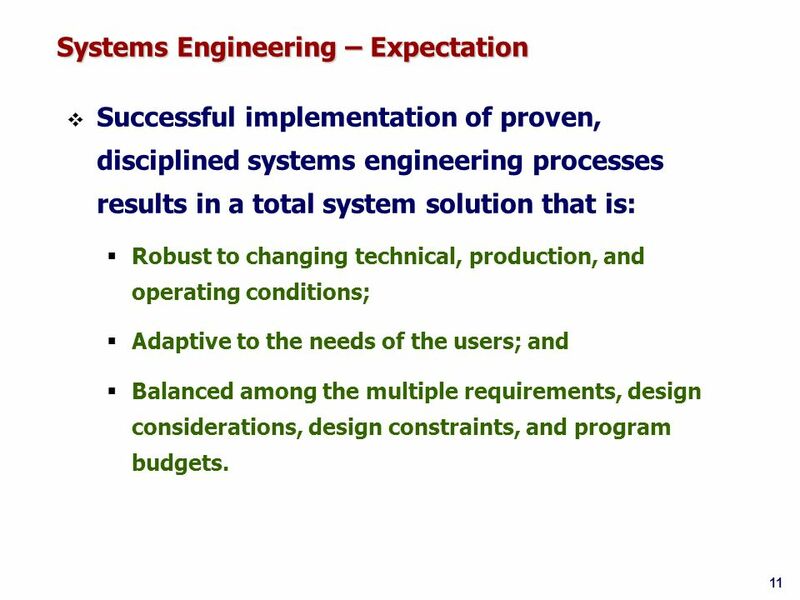 A presentation from June 20, 2000 Jim Brosseau The ‘How-To’ of Software Process Improvement. 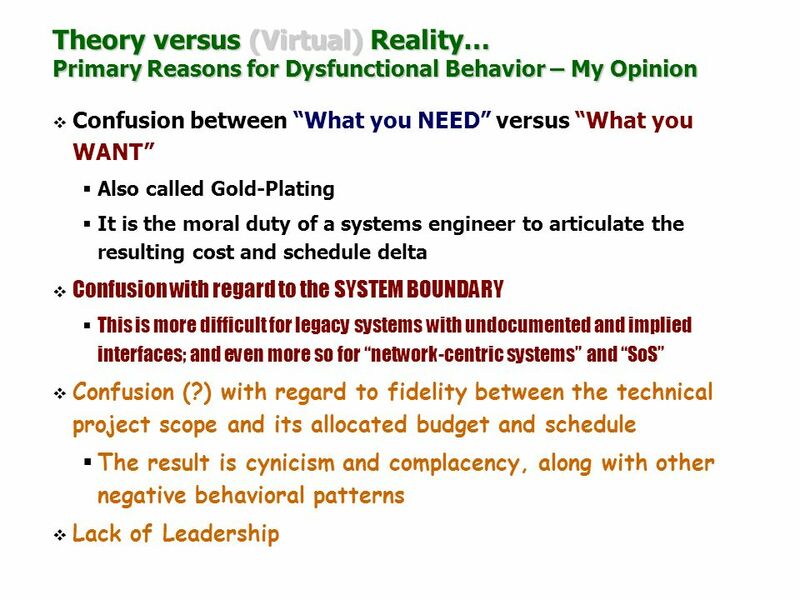 Virtual University - Human Computer Interaction 1 © Imran Hussain | UMT Imran Hussain University of Management and Technology (UMT) Lecture 16 HCI PROCESS. 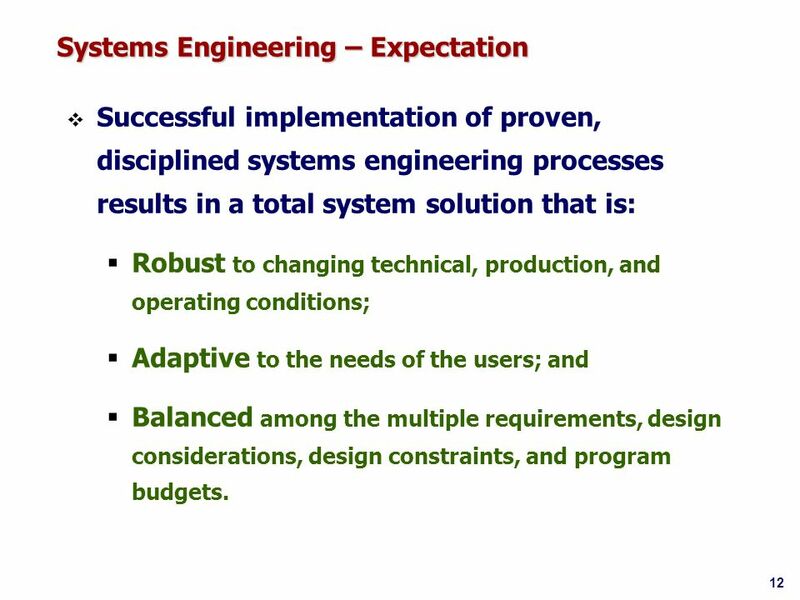 CSE 470 : Software Engineering The Software Process. 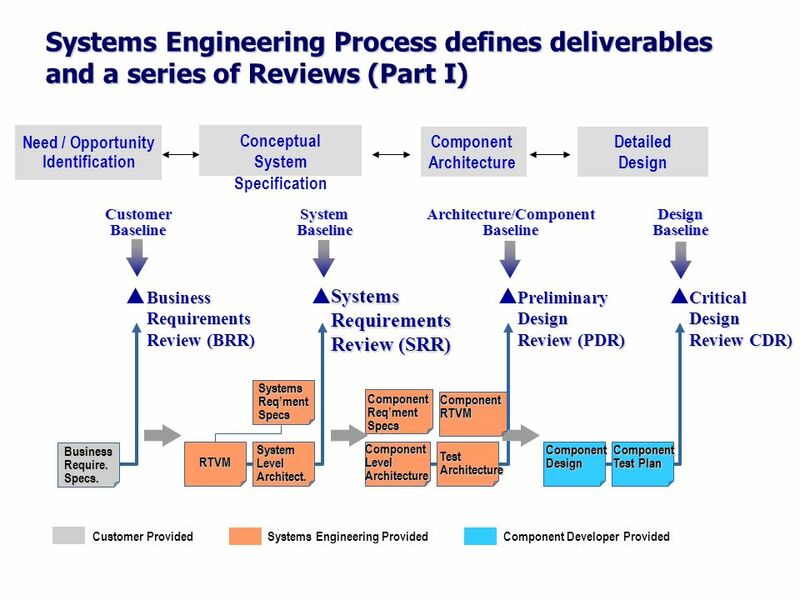 Chapter 22 Product Line Engineering Week 1 CIS 673. 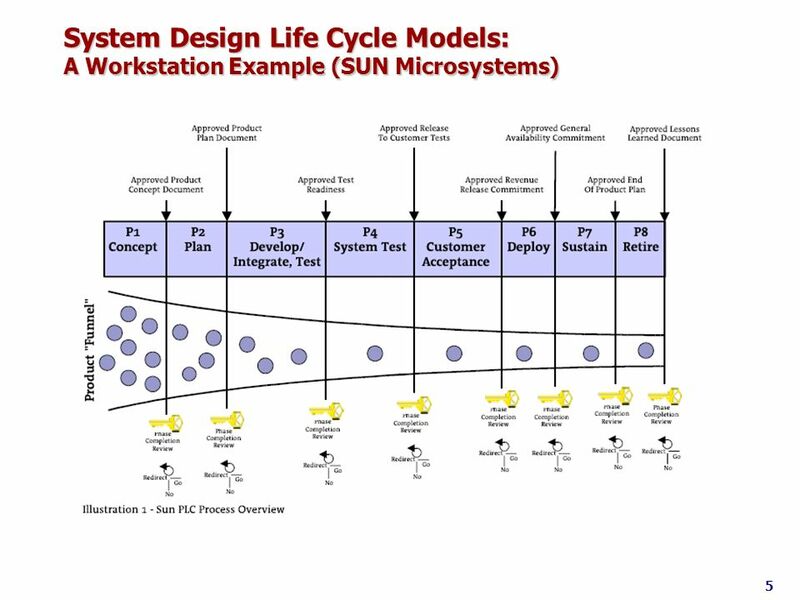 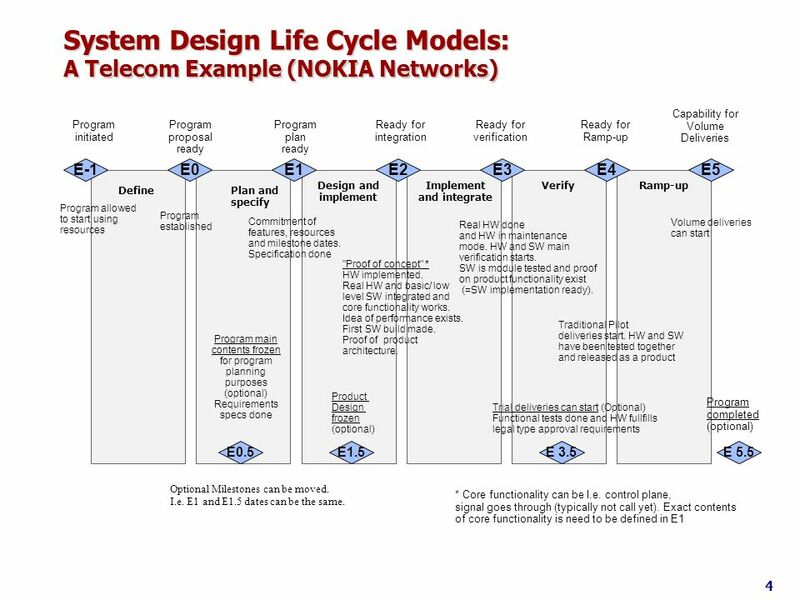 Development Processes UML just is a modeling technique, yet for using it we need to know: »what do we model in an analysis model? 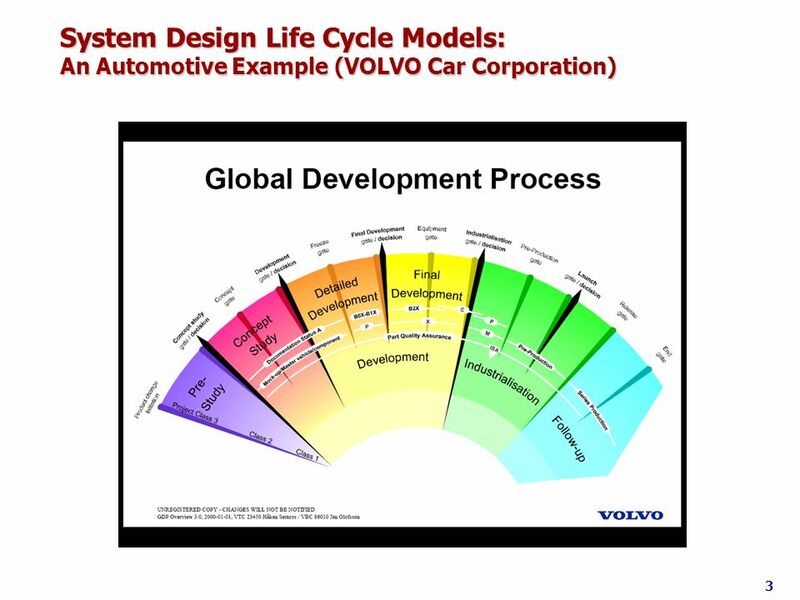 »what do we model in. 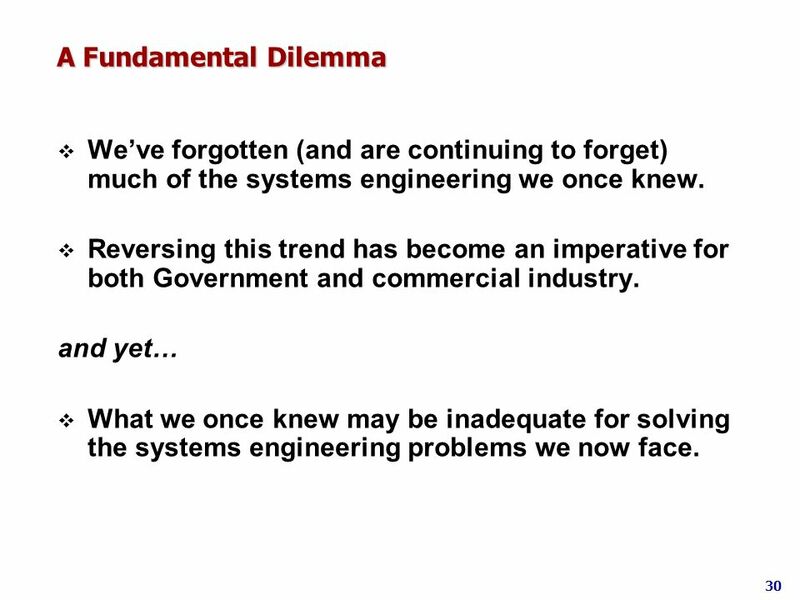 Software Engineering. 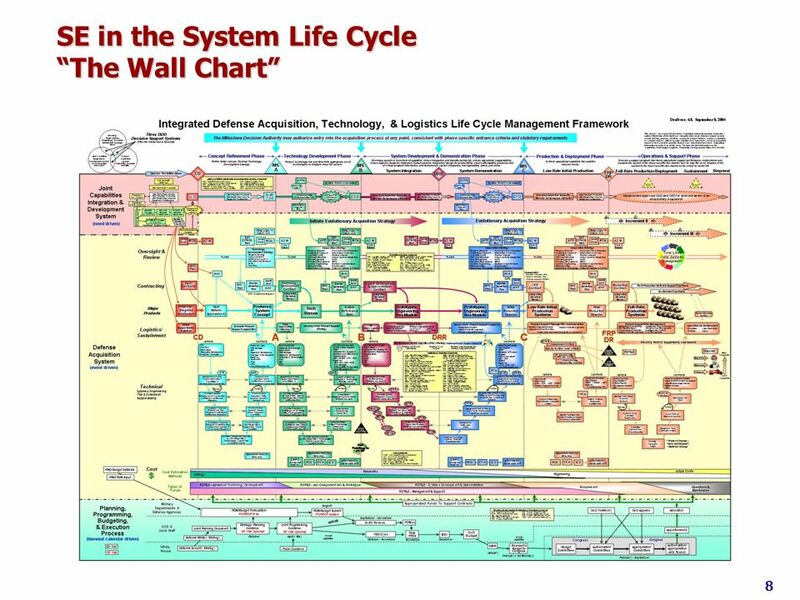 How many lines of code? 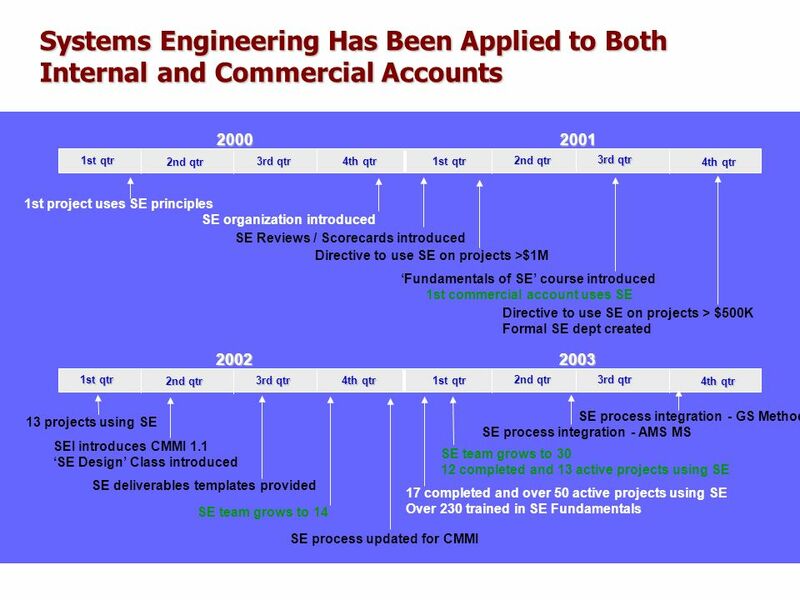 Average CS1004 assignment: 200 lines Average CS4115 project: 5000 lines Corporate e-commerce project: 80,000. 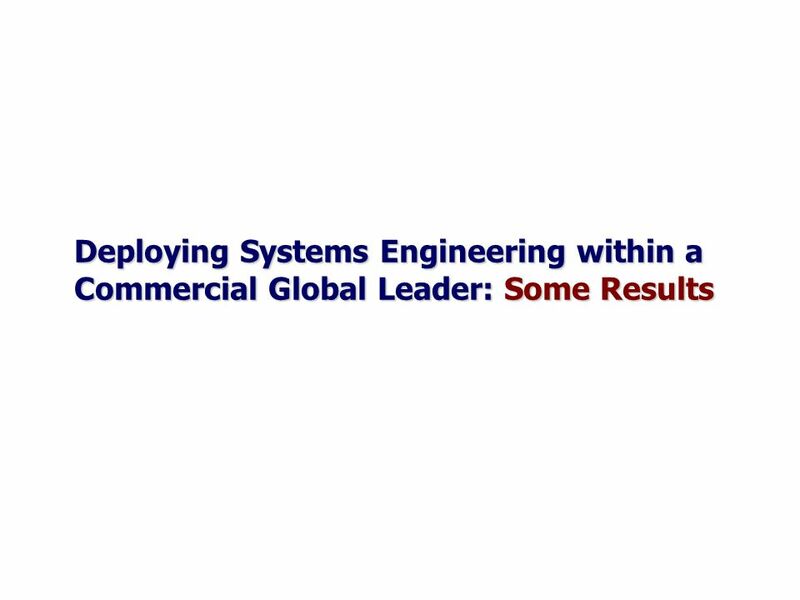 SE 555 Software Requirements & Specification Beyond Requirements Based on Weigers Chapter17.